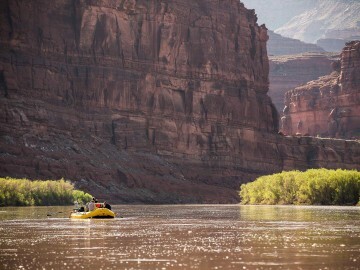 Traveling by boat down the Colorado River through Cataract Canyon transports you into the heart of Canyonlands National Park. 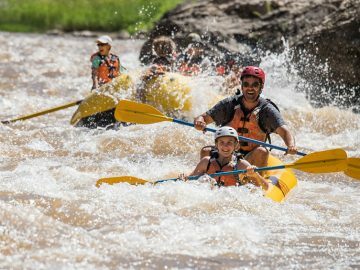 As you raft beneath colorful canyons and 2,000-foot cliffs you’ll enjoy relaxed floating and adrenaline-infused whitewater rapids. Side hikes lead to waterfalls, hoodoos, and Ancestral Puebloan sites throughout the river corridor. 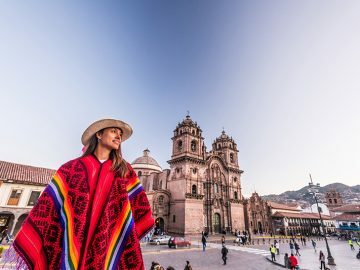 Each day ends under some of the clearest skies in the country—perfect for stargazing—on giant sandy beaches with a fresh, delicious meal and good company. 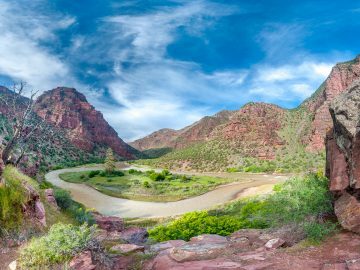 There are few places as wild and untouched as Desolation Canyon, but this underrated stretch of the Green River is nothing short of majestic. 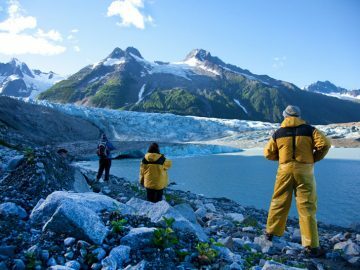 It’s a place of rugged beauty where dramatic bedrock walls, talus slopes and colorful crags tower as high as Grand Canyon in some places. Hidden within the canyon’s walls are remnants of past visitors—rock art and stone ruins left by the Fremont Indians, abandoned homesteads and outlaw hideouts—waiting to be discovered by paddlers. 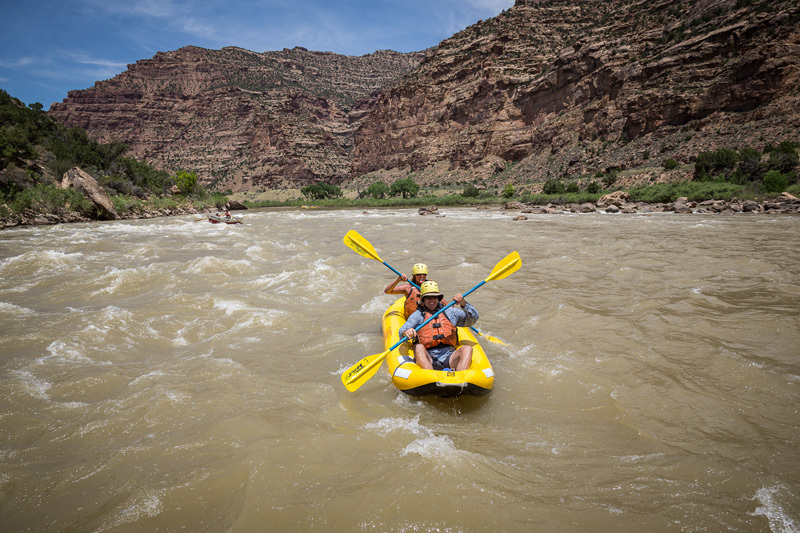 A rafting trip through Desolation Canyon also offers exciting stretches of whitewater, including more than 50+ Class II-III rapids that offer family-friendly thrills. 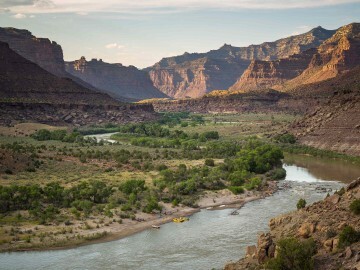 Before it converges with the Yampa and eventually the Colorado River, the Green River winds its way through billion-year-old, red quartzite canyons, which offered renegade outlaws such as Butch Cassidy and the Sundance Kid refuge from the law. 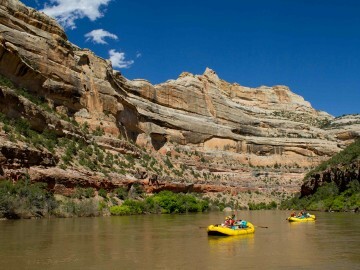 A Green River rafting trip also gets your heart pumping with Upper and Lower Disaster Falls, Triplet Falls, and Hells Half Mile—named by early explorer John Wesley Powell—before passing through historic Echo Park; scene of David Brower and the Sierra Club’s first conservation victory against a proposed dam. 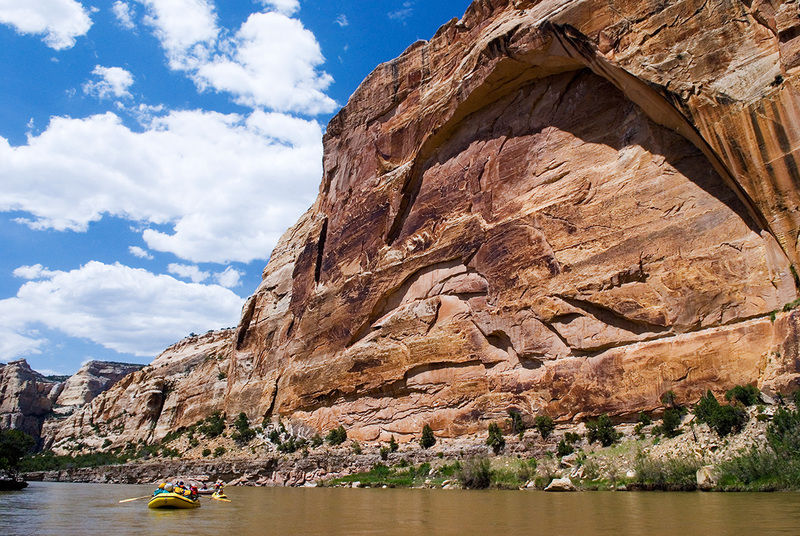 Rafting down the Yampa River gives visitors a backstage pass to some of the most remarkable pieces of geologic and human history. 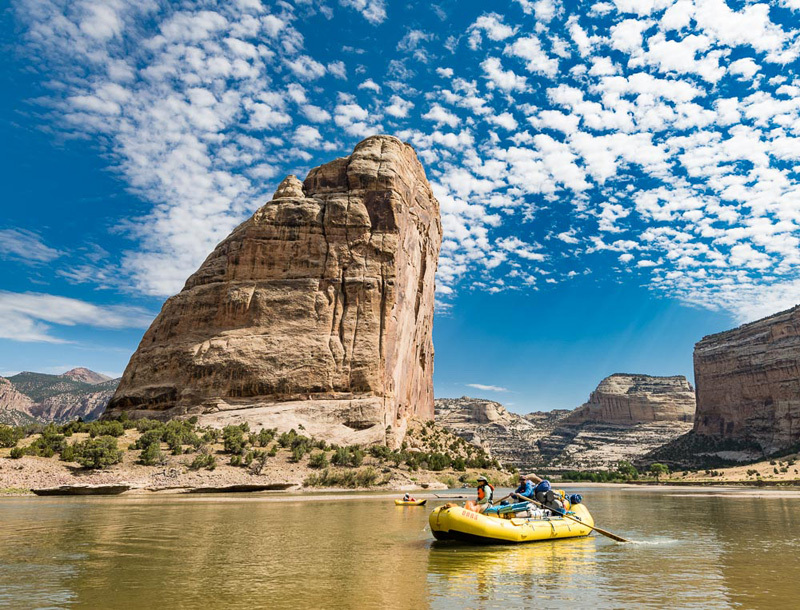 Over the course of four or five days, you are transported into the heart of Dinosaur National Monument where you can discover 150-million-year-old fossils and encounter 1,200-year-old petroglyphs and pictographs from the Fremont Indians. 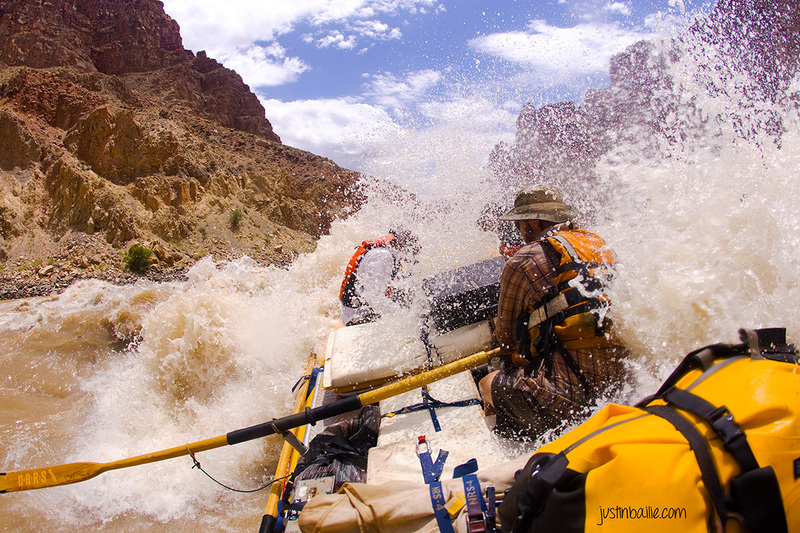 Lose yourself in the geologic record on the river while you navigate Class III and IV whitewater beneath stunning rock formations like Cleopatra’s Couch and Tiger Wall and hike to spots like Mantle Cave and Wagon Wheel Point. in the heart of the Colorado Plateau.